There’s no place on earth quite like London. Truth is, it’s such a hard city to capture on film with its diversity of culture, ethnicity, architecture, lifestyle, and more. It’s a city best experienced in person but if you haven’t been, filmmaker Oliver Astrologo does a bang up job of giving you a glimpse. Filmed over a two-year period, Astrologo calls this “one of the most demanding and challenging projects” of his career. He gets up close and personal with everyday Londoners and really captures the grittiness and the frenetic pace of life in the British capital. I’ve always admired the attention to detail in Astrologo’s editing, especially his use of myriad cuts and bringing in native audio and sound effects. It really pulls you into the city he’s exploring. He also manages to capture the feeling and uncertainty that exists around Brexit by bringing in current news footage and using bluer, cooler tones that evoke a coldness to the opening sequences. The simple narrative that is almost hidden throughout the whole film really makes for a satisfying look at life in London. You can find more of Oliver Astrologo’s work on his Vimeo page here or on his website here. Check out some my personal favorite films of his on Japan here and Venezia here. My first trip across the pond was in 2011. Before then, I'd only been to Central America and a handful of states in the U.S.
From the moment I stepped off the plane at Heathrow Airport; I was hooked – the travel bug bit me hard! Since then, I’ve visited many more states and countries, and there isn’t a place that isn’t on my ‘To Visit’ list. London, however, made an impression on me, and it calls me back again and again. Conveniently, my husband and co-adventurer feels the same way. In 2014, Kevin and I put together a trip for entering university freshman focusing on intentional travel and the history of the Anglican church, with plenty of fantastic food and experiences sprinkled in. It was our first time to travel internationally together, and little did I know Kevin had a big surprise up his sleeve, or rather, in his pocket. We arrived in the city a couple of days before the students, to be able to reorient ourselves to the Underground and collect tickets to all the sites we were visiting. On July 26, we visited the Victoria & Albert Museum, walked along the Themes, looked at the Millennium Bridge, and attempted to visit the St. Paul’s Cathedral Gardens. I had no idea that all day long, Kevin had been waiting for the perfect moment to propose. Since the gardens were closed, we walked around the back of the church and happened upon Festival Garden, which has a sculpture called The Young Lovers. It was at the foot of this statue with the cathedral bells tolling ten that Kevin asked me to be his wife. To commemorate this memorable location, I had the latitude and longitude of Festival Garden engraved on the inside of Kevin’s wedding band. I am writing this just after our third wedding anniversary and am thinking back on all of the adventures we’ve had since that day and plan to have in the future. I am heading back to my favorite city this week, and Kevin will join me there for a bit a week later. This time, we have the opportunity to meet with friends and explore the city at our own pace, the only agenda being to fall in love with the city and all it has to offer all over again. Check out Kevin’s London Musts list and stay tuned to learn more about what I’ll be up to while I’m there. There are a few things that I have to do every time I visit a specific city. For London, that list happens to be pretty long. My first trip to London was in 2007. I had just finished up a monthlong volunteer trip with a religious organization in Birmingham and had booked myself another month in the capital. It was the middle of summer between my junior and senior year of college, and I did little to no research before my feet hit the ground. I stayed in a guesthouse for Christian workers in Islington, partly because my group stayed there and partially because it ended up being the cheapest option for accommodation after everyone left. Every day I walked through Highbury Fields and watched people push buggies and play fetch with their dogs. Mornings were pretty sacred to me. Coffee, a wing of a museum and then a bookstore after lunch, depending on how late I stayed out the night before. You can see a lot in London when you have a whole month, unfettered by a work routine. Depending on the museum I was visiting that day, I'd pick a Tube stop and explore the area. I started with Angel and worked my way down to Barbican, then over to Edgware Road and down to Fulham Broadway. Each afternoon I'd take time to read a section from a Nick Hornby novel and pick out the roads in Islington that he mentioned. Along the way, I'd stop for sandwiches, snacks, the occasional tea and probably a Carlsberg at some point past 2 p.m.
One of my fave spots in London, Trafalgar Square. The city was mine to explore, and frankly, I had no clue what I was doing. Over that first month, I made friends, viewed some of the most magnificent art in the world, got lost in areas I probably shouldn't have, and somehow ran into more Americans than I ever thought possible. As I prepare for a whirlwind four day trip in my favorite city, that first experience in London is still in my mind. It was raining, of course, and we hailed a Black Cab to take us from Marylebone Station to our guesthouse. The weather was balmy, and people moved on as if nothing in the world would stop them from living life. Staring out the back of the cab, I still remember the faces, the fashion, and the determination of the everyday Londoner. It's why I keep returning, and always will. Follow along with us on our trip to London and the UK on Instagram and Facebook. if you think I'm missing anything on my list, let me know in the comments below. London is easily one of our favorite cities in the world. It also helps that we have loads of experience there and friends willing to help show us around. With that in mind, we recently jumped on a fantastic flight sale and are headed back to the UK capital in a few weeks. We're preparing for the city to be packed and buzzing because we're landing just a few days before the Royal wedding of Prince Harry and Meghan Markle on May 19. Sadly, I still haven't received my invite, but I'm not too chuffed about it. The Royal wedding also falls on the same day as the FA Cup Final, which is apparently a break from tradition as Royal weddings usually take place on a weekday. Featuring in this year's FA Cup Final is my beloved Chelsea FC taking on Manchester United at the home of football, Wembley Stadium. Seeing as Kim has already been to Wembley for one of Adele's final concert's, I'm a bit jealous and wanted to be as close as possible to the game as I could. So we're currently filling up our itinerary and looking for suggestions for places to eat and drink, so please let us know in the comments below. I (Kevin) haven't been back to London since 2014 and am looking forward to enjoying some of my favorite people and culture in the world. Oh, yeah, and hopefully Chelsea wins to top it off. We're also going to visit the spot that we got engaged at on my last trip there, just a few weeks after our 3rd wedding anniversary. Make sure to follow us on Instagram to keep up with us on the ground. I'm packing my new camera and looking for some great views! P.S. The cover image was taken almost 10 years ago with a Pentax K110D using only a kit lens. It was my first real DSLR camera and only has a 6.1 megapixel sensor. It's no secret. London is an expensive city. Like, really expensive. But that doesn't mean you can't travel there on the cheap. Here's five tips to experience London without breaking the bank. London is a town of many museums and the larger, more famous ones boast of having no entrance fee. Just simply walk in and enjoy some of the greatest works of art and design the world has to offer. There is a suggested donation price to which I always drop a few pounds in, but this isn't necessary if you're on a tight budget. 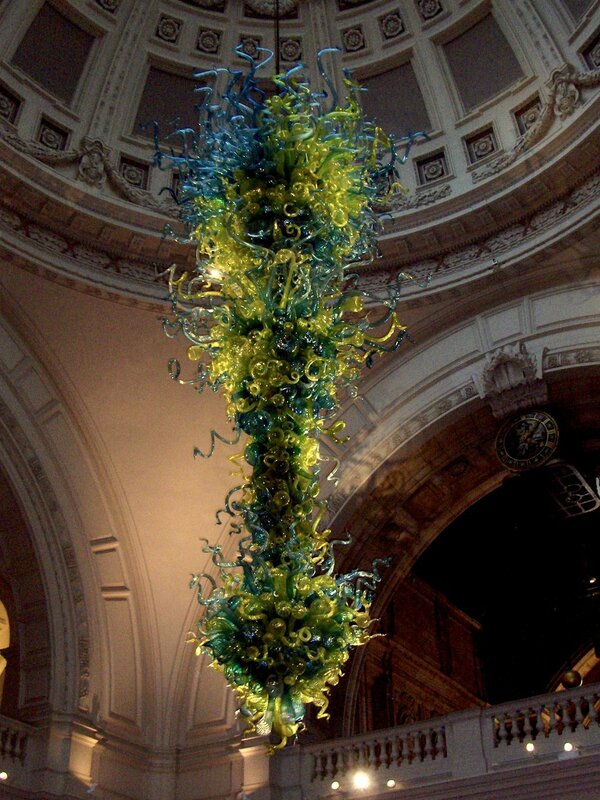 Great options for non-museum goers are the Victoria & Albert Museum, which offers more design and culture focused exhibits, and the Imperial War Museum. 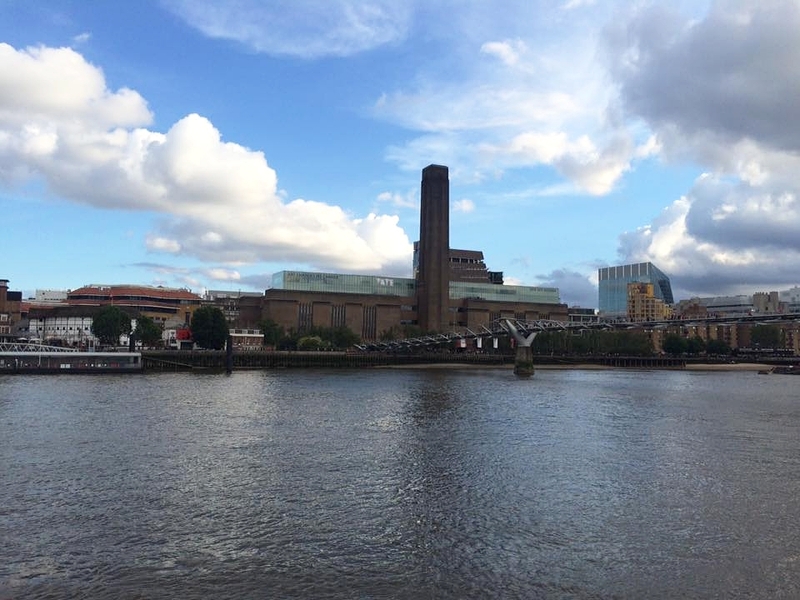 For art lovers, the National Gallery and the Tate Modern are must sees. Hotels in London can be rather pricey, especially considering that even the costlier ones can be small and cramped. To keep a few quid in your pocket, opt for a rental service like Airbnb and get a room or a flat in a part of town you'd like to explore. At a hotel you pay for the convenience of being near major attractions, which tends to keep you in more expensive touristy areas. By using a rental service you can find a neighborhood location that offers cheaper eats, less crowded transportation hubs and a sense of how real Londoners live. The new Visitor Oyster Card offers a cheaper alternative to buying a Day Travelcard. By capping how much you spend each day at £6.60, you spend roughly half of what you would on a Day Travelcard (£12.30.) You can apply online and have it shipped to your house before your trip, ready to use as soon as you step off the plane! Make sure to order your card in advance to get the lowest prices!! Okay, this is going to sound lame, but I'm in love with the simple little British sandwich shops that are pretty much ubiquitous in the capital. Whether it's a M&S or Pret a Manger, little sandwich shops offer a quick pick me up and a pretty cheap food option in an expensive city. Instead of eating in, grab your sandwich to go and sit in front of a museum or attraction for prime people watching. By avoiding the cafes at tourist attractions, you can save a lot of cash. Kim and I have stuck to carryon travel for a while so we never really have room for a lot of souvenirs. On our latest trip we followed some suggestions from Ashlea at a A Globe Well Travelled and took pictures of thing we would have otherwise bought. Not only do we have great memories of some pretty awesome stuff, we don't have to find a place for said stuff in the house. It's like winning twice! London is packed full of souvenir shops, most of which are the exact same touristy stuff. So next time you're in London, skip the standard souvenirs by taking a picture of yourself gawking at them. Not only will you have less to carry, you can save your hard earned money for more adventures or for one big splurge souvenir at the end.